Paul personally works with all clients of the firm. Paul grew up in Sausalito and Mill Valley, attended local public schools (including Tamalpais High School where he served as student body president), and earned a Bachelor of Arts degree in intellectual and economic history from the University of California at Berkeley. He later received a juris doctorate from the University of San Francisco. Before establishing the firm at the end of 1992, Paul worked at American Express as a personal financial planner. In addition to having provided financial advisory services to clients since 1990, Paul has a broad range of experience in related fields, including foreign exchange brokerage, worker's compensation, federal contract law, and labor and employment discrimination law. Paul maintains a FINRA (Financial Industry Regulatory Authority) General Securities registration through Commonwealth Financial Network®. Paul is also licensed with the State of California Department of Insurance (CA insurance license number 0808412) to evaluate and offer life, health, disability, long-term care, and variable insurance policies. Paul received formal training in investment fiduciary responsibility and earned the Accredited Investment Fiduciary® (AIF®) professional designation. He is also a member of the International Association of Registered Financial Consultants (IARFC®). Since 2009, Paul has been a member of the Excellent Investment Advisors Study Group. In 2016, he was chosen to be one of a select group of 15 financial advisors across the country to serve on the Commonwealth Advisory Council. Paul raised two children who are now college graduates. Paul's son graduated from Pitzer College (one of the five Claremont Colleges) in Southern California, and Paul's daughter graduated from Lewis & Clark College in Portland, Oregon. Paul lives in Mill Valley. His interests include biking and hiking—especially on Mount Tamalpais—gardening, and spending time with friends and family. Paul is a life member of the Tamalpais Conservation Club (www.tamalpais.org). Norine has more than 20 years of experience in the financial industry, predominantly in the fields of insurance and real estate. She is a California licensed realtor of 10+ years, with Marin County as her main focus. She also held a California Life & Disability Agent license for 15+ years. Responsibilities for Norine include opening accounts, money transfers and disbursements, and other account-related transactions. She also manages our marketing and “We Give Back” referral program. Norine offers a blend of sincerity, knowledge, and professionalism. Her communication skills, attention to detail, and "client first" mentality enable her to provide superior service. Her positive attitude and high level of commitment to her work is an asset to our firm. Norine has been a Marin resident for more than 25 years. She is married and has two daughters who are graduates of St. Mary's College and UC Santa Barbara. She was a past San Anselmo Chamber of Commerce Administrator and San Anselmo Recreation Girls Soccer Coach for 8 years. She enjoys running with her Australian Shepherd dog, supporting her community, spending time with family and friends, and a good laugh. Linda works primarily with Paul on assignments that require particular project or computer modeling skills. Linda's education includes a BS in finance from Syracuse University and an MBA in marketing from Columbia University. Her professional experience includes work as a financial analyst with the First Boston Company, a financial consultant with PG&E, and a personal financial planner with American Express/IDS. Linda also works as the associate director of candidate education for the CFA Society of San Francisco. Linda enjoys traveling and spending time with her husband and two children. She served as a past president of the Mill Valley Parent Teacher Association. Susan Kendall, CPA, CFP®, founded Kendall Wealth Partners in Pacific Grove (located near Monterey) in 1992 after working in the accounting and tax professions since the early 1980s. Susan was one of the first Certified Public Accountants (CPA) in California to add financial services to her practice in 1996. In 2003, Susan chose to partner with Commonwealth Financial Network®, which was already recognized as one of the preeminent independent broker/dealers in the United States. 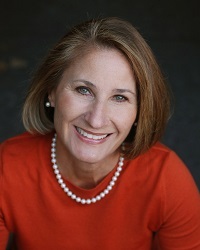 More information about Susan can be found on her website at www.kendallwealthpartners.com. In 2007, Susan and Paul signed a continuity agreement to make sure that if anything happens to either one of them, the other’s office and team will be able to continue to serve any and all client needs that may arise and will be able to do so in a seamless and efficient manner. The alliance with Commonwealth ensures a continuity of back office, investment, and technological support. Maureen Maguire, CFP®, AIF®, has been providing financial planning services to individuals and businesses in this area since 1985. She is dedicated to developing lasting relationships with her clients. This depth of relationship develops naturally in the process of helping them assess and implement their values and financial goals. Maureen provides clear, easily understood explanations of financial products and services, and a road map toward a more secure financial future. Maureen and Paul enjoy collaborating professionally and, because of their joint affiliation with Commonwealth, they can share resources and technology support for one another. 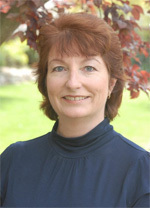 Helen Bonapart works in private practice in Mill Valley. 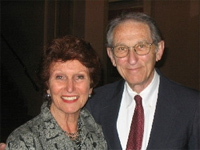 Helen's practice emphasizes family systems and other issues of behavioral psychology. Helen graduated with a master's in social work from the University of California at Berkeley in 1956. She is a board-certified diplomate in clinical social work and a licensed clinical social worker. Helen has had more than 25 years of experience as a medical and clinical social worker for social agencies and institutions before she started her private practice two decades ago. Helen’s husband and my father, Alan Bonapart, worked in the field of estate planning (1959-2008). One of his published articles include “Estate Planning and Women: Consciousness Raising for Estate Planners,” 8 University of Miami Institute on Estate Planning, Ch. 10 (1974).